Do you have a Smartphone, then join Quiz Apps to Earn Money. The people are searching the Internet for making money and one of the popular among them was Quiz Apps to earn money. You can earn thousands of rupees every day by playing fun trivia games, quiz etc. by using your Smartphone. It may be a bit difficult to understand that why companies would pay individuals for reading emails, watching videos, seeing ads, playing quiz and games. When you look closely to analyze the actual trick behind the scene is, to reach customers directly without any advertisement medium. Many companies and brands become creative in reaching their potential customers directly through their Smartphone. Generally, marketing spends billions of dollars on traditional advertising methods such as TVs, Radios, Newspapers etc. But, the influence of the technology helped brands to reach the customers directly in a unique way- through Smartphone. This helped them to save a lot of money, which they were using to pay customers directly letting them to earn extra cash but indirectly using them for advertisements. Why do Quiz Apps Pay Money? Recently while searching the Internet, I found a site called LOCO Android App and went to investigate a bit further. I was wondered to see that this app is really paying 1000s of dollars to their users every day. On further digging, I realized that these are categorized as Quiz Apps to earn money, they pay money when we play and win quizzes. Is there anything better than making money spending your free time in fun and entertainment? To my knowledge, quiz apps offer a great way to make extra money using our knowledge and talent. Students who were preparing for various competitive exams like banking, railways etc can test their General Knowledge by playing these quiz apps and get paid as well. There is another secret marketing strategy behind these quiz apps which I explained already in this article. Let’s get into an actual phase of the article, where I catered a list of paying quiz apps to earn money in your free time using your Smartphone. How Quiz Apps Pay us? To participate in these online money making method, you should have an Android Smartphone with an Internet connection. Then, you download PayTM online mobile wallet, register a free account by submitting your KYC. You are all set now. Most of the quiz apps pay through PayTM wallet or PayPal payment processor or sometimes they offer gift vouchers or points. You can redeem gift vouchers through Amazon, Flipkart, etc. These are the list of latest paying online quiz apps for Smartphone users. This is the popular Android-based quiz game that has recently become extremely popular on the Internet. 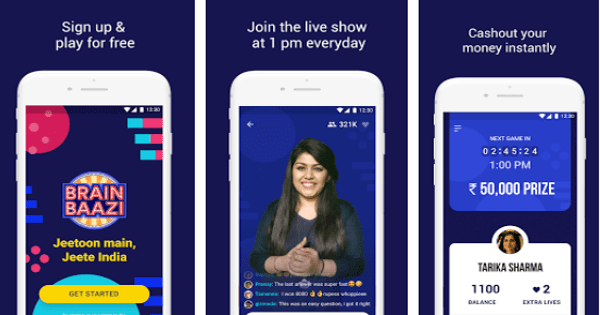 Many college students have been making a decent income by playing live trivia games available on this app. There are a total of 10 questions asked in a single game leveling from easy to difficult. Two games are hosted every day from Monday to Friday, one at 1:30 pm and the next was at 10:00 pm IST. On Saturdays and Sundays, there will be only one game at night only. The questions will be asked on the different topics such as Science, Sports, Current Affairs, Politics, News, History, and Geography etc. The individual will be announced as the winner if he/she answer all the 10 questions correctly. Download the LOCO app now. The registration process is very easy and it’s totally free. The only requirement is to link your mobile number with Paytm to receive your winning amount in your Paytm mobile wallet. Playing the game won’t consume more than 10 minutes twice a day and once you won the game, the money will be credited with an hour to your wallet. 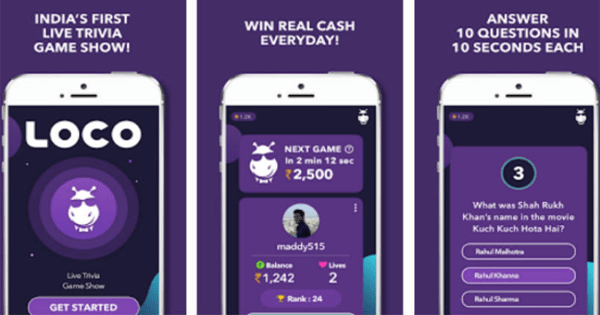 This is India’s best Gaming and Quiz Apps to earn money, in which users can play and win real money or gift vouchers. 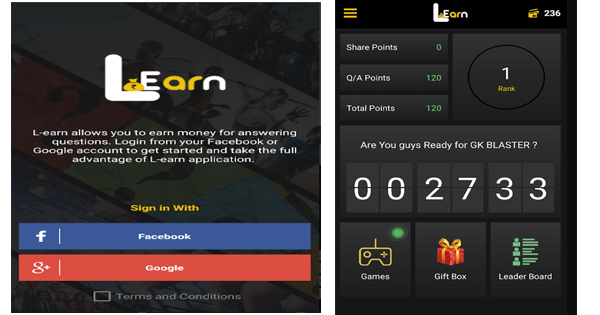 In this application, you have to participate in the real-time quiz challenge and answer simple questions to win money. Questions are asked from various subjects such as GK Quizzes, Bollywood, Puzzles, Trivia, and Sports etc. in multiple languages such as English, Hindi, Telugu etc. 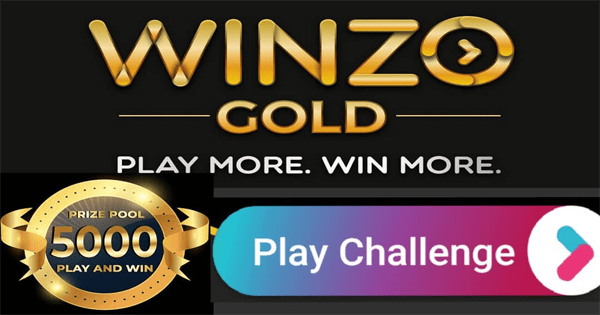 Anyone can start making money instantly from WinZO, whether you are a college student, stay at home mom or an IT guy, you are allowed to play and win. After you installed the app, you will get a challenge every half an hour or one hour once and in every challenge, they will ask 4 simple questions. There is no minimum withdrawal limit and you can cash out even 1Rupee INR to your PayTM wallet instantly. Bonus: Apart from playing games, you will earn additional Rs. 500 if you were in the top of the leaderboard, and Rs. 250 for the second position. Download WINZO quiz app now from Google Play Store. 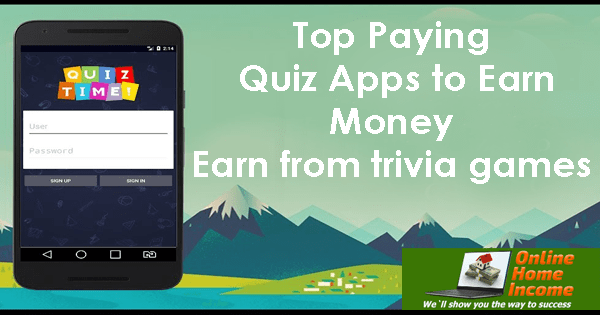 This is another popular online fun trivia quiz apps to earn money by using your android smartphone. It is a newly launched program that enables the user to earn via Paytm. They offer two shows every day at 2:30 PM and at 08:30 PM IST. You can play every day and win up to Rs. 20000 INR daily. There is a monthly mega prize of Rs. 1 lac was there for every month. Normally each trivia game show takes up to 10 minutes and you will be asked one question at a time with 10 seconds to answer each question. Wrong answer or delay in the answer will get you eliminated, but you can use your available life to continue playing the game. Go to your Google Play Store and download the android app. Install the app and then register a free account. There are various topics integrated on every quiz show such as History, GK, Technology, Cricket, Business, Sports, Films, TV, nature etc. Other exciting features such as mega monthly quiz show, referral program are some additional ways to make money. Invite your friends to join them using your referral code and earn up to 50% of their earnings for a lifetime. Also, you will earn 2 lives for every successful referral you bring in to them. 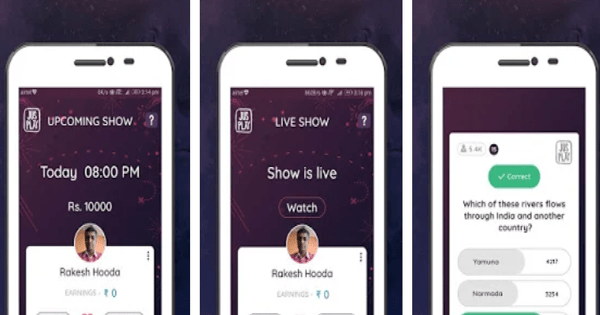 Mob Show is a live quiz app to make money, where you play against others for real cash prizes. Registration is free. Mob Show distributes Rs. 50000 INR every day to their winning users upon successful completion. They conduct quizzes two times a day at 07:30 PM and 09:30 PM IST every day and you will be asked 10 questions in every session. Refer your friends to earn free lifeline which you can use to save your life when wrongly answered. Similar to other quiz apps, they cover on all the topics such as Gk, Hollywood, Bollywood, Comics, Mythology etc. You are supposed to answer 10 questions correctly to win the prize. The winning amount will be deposited to your PayTM wallet within a week. Download MobShow from Google Play Store. Learn app is another online quiz app that rewards you through your PayTm wallet for answering simple questions. There are many different ways you can earn money from this app. It also gives points which can be utilized later via PayTM Wallet. You will earn Rs. 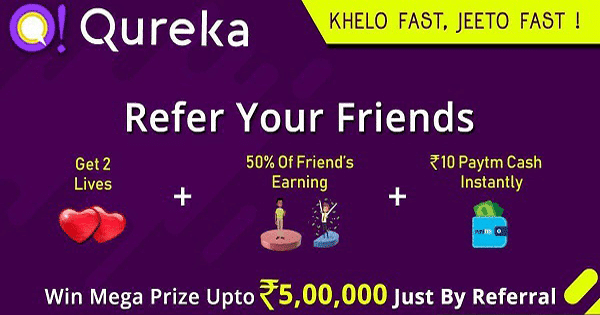 5 INR as your sign up bonus when you use your referral code and refer a person. The minimum cash out is Rs. 30 and let me explain to you how to earn from this mobile app? Go to your Google Play Store and download the app, and then register a free account using your Gmail ID. Complete the registration process by submitting your PayTM number. The app conducts trivia quiz games usually between 9 am to 1 pm and you have to answer 50 questions daily. Download LearnApp today start making money. You can earn up to Rs. 70 INR and 10 points per question if you answered correctly. Once you earned a minimum of Rs.30 /-, you can redeem your money to your PayTM mobile wallet. It is a mobile phone app that lets users earn money by playing trivia games. This application was released in April 2017 for iOS and on Dec 2017 for Android. This game comes with cash prizes which are life at 9 pm EST every weekday and 3 pm EST on weekends. The very fun, innovative and easy quiz apps to earn money. As a user, you will get12 – 15 questions per game. Let us read, what time.com says about HQ Trivia quiz game app. For each question you will have 10secs to answer, passing the limit will eliminate you from the game. They offer the prize money of more than $5,000 on weekdays, and $3,00,000 on holidays and Sundays because of special events. Every player wins between $5 to $12 if answered all the questions correctly and stand a chance to win $18,000 by playing jackpot games. 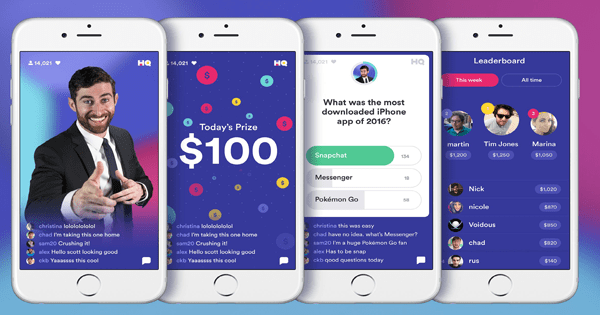 HQ Trivia pay the cash prize through a PayPal deposit. Download HQ Trivia Quiz App today. This quiz app is similar to Loco, where you will win real money on every successful completion of quiz game. In every challenge, you will get 11 questions with 10 secs time to answer each question with 3 choose the best answer option. 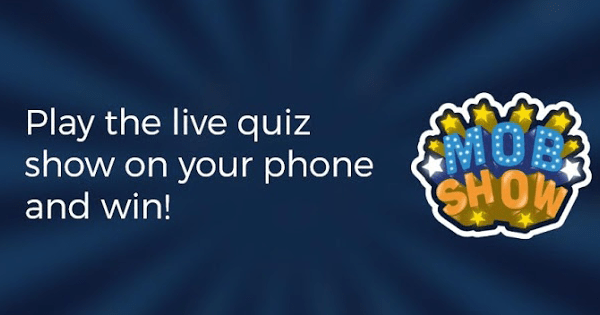 The wrong answer will kick you out of the app else if you have an extra life, you can use to continue playing the quiz game. But, you can use only one lifeline per game and on successful completion of all 11 questions, you will certainly earn money. They pay the winning amount deposited the winner’s Paytm wallet or Mobikwik wallet and there is no minimum withdrawal limit. Download Brain Baazi app from Play Store. If you want more quiz apps to earn money, then I recommend you to try JusPlay live trivia quiz game app. They usually conduct the event at 07:30 PM IST and similar to Brain Baazi, this app has 11 questions to answer. You will get 10Secs to answer each question, failing will lead to termination from the game. There are 2 lifelines available to use per show. If you wish to earn more, then refer friends and others to join the app and play a game show. For each successful referred person, you will earn 1 lifeline. There is no minimum payout limit and your winning money will be delivered to your PayTM mobile wallet. Download Jus Play app from play store. The Fronto is another nice quiz apps to earn money and you can earn by viewing a few ads every day. After you install the app, it will display news and ads on your Android’s lock screen and for every interaction with each and you will earn cash. They also offer coupons or Amazon gift cards. They pay anywhere between $0.01 to $2 per interaction and $0.20 per day for checking the app. When you reached a minimum amount of $1, you can request payout through PayPal. Else, you can get various gift vouchers such as Amazon, BurgetKing, Playstation etc. Many people were using Smartphone and it has become one of the handy tools to most of the people. Is it true there is real android money making apps available on the market, Yes! It is. Yes, you can earn money by spending a few minutes every day on your Smartphone app. There are plenty of apps that pay you doing many different tasks. You can make money especially for viewing ads, taking surveys, playing quiz games etc using these android applications. It is hard to tell how much you can make from these apps because most apps reward you with coupons and points instead of cash. However, therefore, I am sure that you will earn real money from these online jobs every day. Dear friends, I have listed these apps based on a survey I conducted among from my blog subscribers. Based on the reports and other few research-based analysis, I have written this article for the benefit of my blog audience. I cannot guarantee the success, because most of the apps are downloadable via Google Play Store. Some people have earned money and they posted a positive review. Unfortunately few people have had the worst experience by trying these quiz apps to earn money. Hence, I humbly request you to try these apps at your own will. If you are having any suggestions or have some experience with other similar apps, share here in the comment section, I will update the list.